Women make up 51% of the U.S. population, but are significantly underrepresented in local, state, and national government offices. The U.S. holds the ranking of 75th worldwide in terms of women’s representation in national office. Recent years have seen an increase in women running for office at all levels, but women still represent a small percentage of candidates and a lower percentage of campaign funding than their male counterparts. 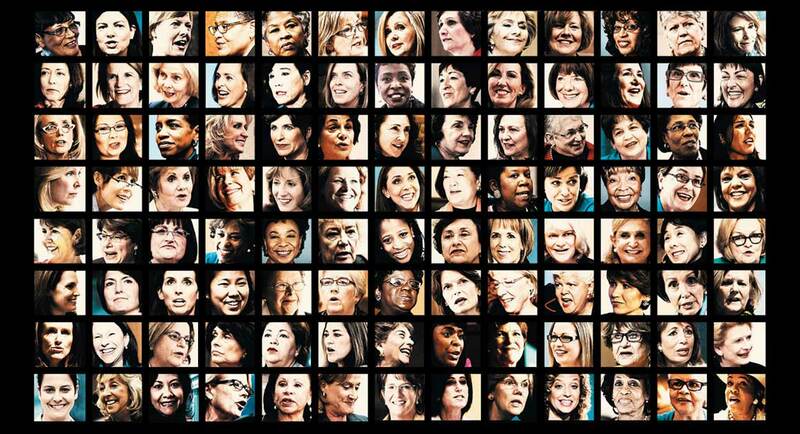 Even among the women who do hold office, women of color remain underrepresented. Other than referendums Question or policies that are put on a ballot for citizens to vote on directly, voting is usually used to choose who represents us in the government. When those people aren’t aware of our needs, there can be issues. Women in government are more likely to create and support legislation that focuses on the issues that are important to them. Some of the power of voting comes from being able to elect people who care about the things that you deal with every day. Even today, women hold very few elective offices in the U.S., meaning that often the issues women feel strongly about are not being worked on in government or are being worked on in inefficient ways. There are even fewer non-white women in office, meaning the needs of women of color may not always be addressed, or they may not be approached in the best way. Women’s representation in office is not just a national issue. Women are also underrepresented within Minnesota, though to a lesser extent. Currently, women hold just 44 of the 134 seats in the Minnesota House of Representatives and 23 of the 67 state Senate seats. That makes Minnesota’s Legislature about 33% women, which is above the 24.4% national average of for state legislatures, but still very low considering women make up more than half of the state’s population. Also mirroring national trends is the number of leadership positions held by women. The two most recent Presidents of the state Senate were women, but they were the first ever. Wilhelmina Wright was the first woman of color to join the Minnesota Supreme Court when she was appointed by Governor Mark Dayton in 2012. Outside of the judicial branch, no woman of color has ever held a statewide elective office Any state-level position that everyone in the state can vote on. For instance, a local representative does not count but the Governor and Secretary of State, among others, do count in Minnesota.